Google AdSense: Who's The Client? The Advertiser, The Publisher Or Both? 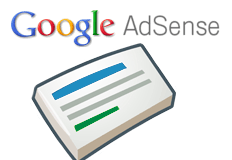 Home > Google News > Google AdSense > Who Is The Google AdSense Client? Who Is The Google AdSense Client? In the past couple weeks, there were two high profile stories on AdSense and possible corruption around it. (1) Google's Search Ad Policies Cost This Company $1 Million basically saying how Google allegedly steals money from their AdSense publishers. (2) An Insider Told Us Why Google Takes Millions From Web Sites Who Break Its Rules basically explaining that is not true and that money goes back to the advertiser. Both are worth a read when you get some time. A WebmasterWorld thread has moderator, martinibuster, explaining what he thinks the core issue and problem is here. It is defining who is the client. Is the client the AdSense publisher? Is the client the AdWords advertiser? Is it both? I found that interesting too. We like to see ourselves in the role of client. Thus we demand things like better customer service, more caring, things a client demands from a service provider. The ex-Googler frames it in reverse, that Google's the client and we are the service provider. Seen in that manner, does it make sense for the business to ask the consumer for customer service? When was the last time your ISP demanded you were a more caring client? Does it even make sense? When was the last time your plumber called you up to ask that you be a more responsible client? We as publishers tend to see ourselves as the client. That's why we ask for more caring, more openness, more clarity, more features. Your ISP does not ask you for more features, right? So if we are like an ISP to Google the client, is it right for us to ask the client for more features? Something is incongruous about that characterization. So maybe that Googler's way of framing our relationship is not entirely accurate? Or could it be that publishers have had their heads way up their rear ends all along and never realized that Google has been the client all along. Technically, if you look at your AdSense code, you are assigned a client ID in the code. So someone at Google felt publishers were indeed clients. But ultimately, the ads on your site are from advertisers, they should be seen as the ultimate client because they are paying the bill. If you look at it that way, does it change your perspective on things?